While Wagon R and Ciaz are vehicle brands from the same Japanese automaker, Suzuki, the stature and specs of the former suggest that it is just a taller twin of the latter.A taller body, this is what gives Wagon R a distinctive, more confident look. The overall length, width, height, wheel base, and ground clearance for Ciaz measure 4490 mm, 1730 mm, 1475 mm, 2650 mm, and 160 mm, respectively. 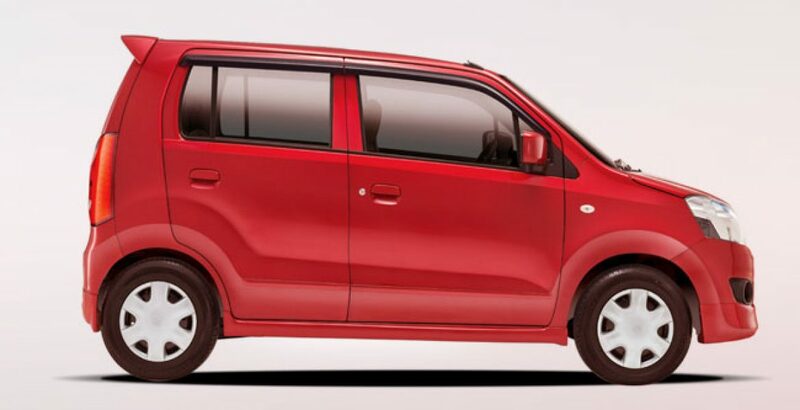 On the other hand, its taller twin (Suzuki Wagon R 2019) measures 3600 mm, 1475 mm, 1670 mm, 2400 mm, and 170 mm, for length, width, height, wheel base, and ground clearance, respectively. As you can see, against Ciaz’s overall height of 1475 mm, the Wagon R stands at around 1670 mm to get an extra tallness of about 200 mm – a big difference! Looking at other specs, both the siblings are 4-door cars, with seating capacity for 5 persons. 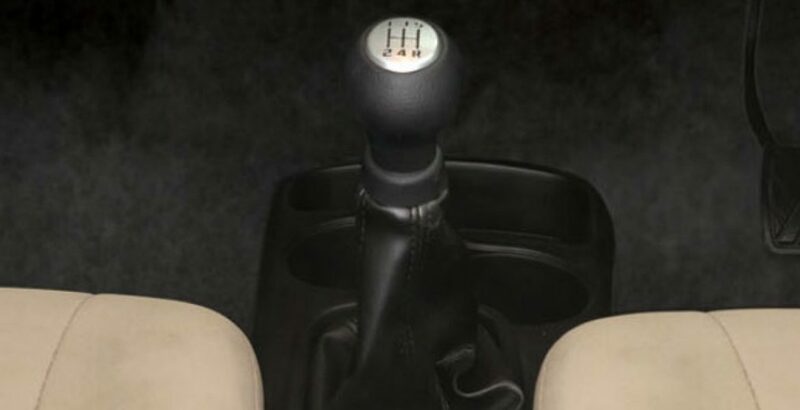 Each supports an electronic power steering and the 5-speed manual transmission system. However, a variant of the Ciaz exclusively offers the automatic transmission system with 4-speed gearbox. While it performs better in terms of tallness and a confidence-inspiring body, the Wagon R is unable to compete with shorter twin sibling (Ciaz) for displacement, power generation, overall engine technology, speed and the fuel tank capacity. Against the 1373 cc piston displacement found in Ciaz, the R measures just 998 cc in its engine capacity. The 998cc machine can generate only 67 hp of force against the 91 hp power generation capacity of the Ciaz. Similarly, the 3-cylinder engine of “R” utilizes the 12-valve technology against the 4-cylinder, 16-valve machine of its rival. 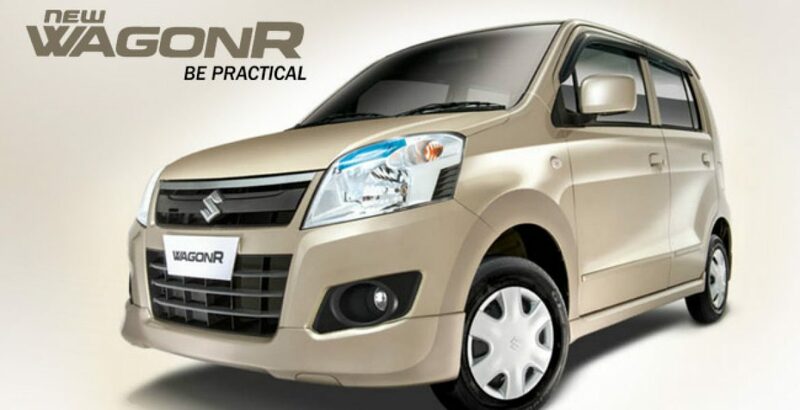 Turning to the price factor, the Suzuki Wagon R 2019 price in Pakistan makes it incredibly inexpensive and affordable. Indeed, there is a gap of over 7 lakh rupees. 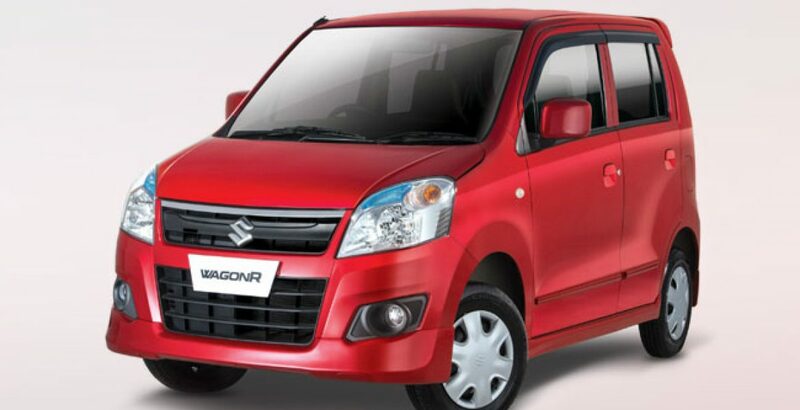 This is what makes the Wagon R one of the best-selling Suzuki cars in Pakistan. Apart from Ciaz, the Wagon R’s competitors in the Pakistani auto market include Vitz, Passo, and Cultus. Here the Vitz and Passo are from Toyota and the thoroughly revamped Cultus is the competitor of Wagon R from the same parent, Suzuki. Vitz: The Toyota Vitz is a Suzuki Ciaz like sedan with piston displacement, engine specs and the power generation capacity resembling that of the Wagon R. The major difference between the two is that of height and the transmission technology, with the Wagon R scoring better for its tallness and the Vitz getting more votes for its automatic transmission system. The Wagon R, however, severely beats the Vitz when it comes to price. 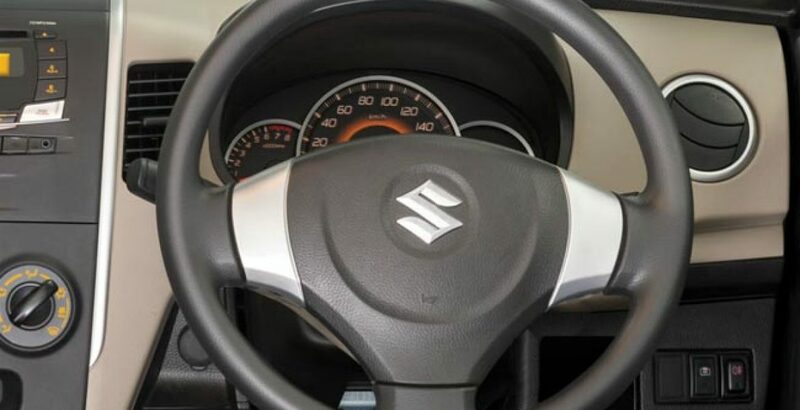 That is, the price of the Suzuki car is much less than that of its rival. Passo: The Wagon R’s automatic transmission counterpart, Passo measures almost the same in displacement. It brings some advanced specs and a more fuel-efficient machine to give better mileage.However, it does not bring the tall stature as found in the Wagon R.
Cultus: One of the R’s competitors happens to be its own sibling, the Cultus. Though the redefined Cultus comes with increased height, it is still shorter than Wagon R. In Cultus, however, you get better mileage and certain tweaked up techs which justify the relatively higher price in Pakistan. What You Need to Know More? 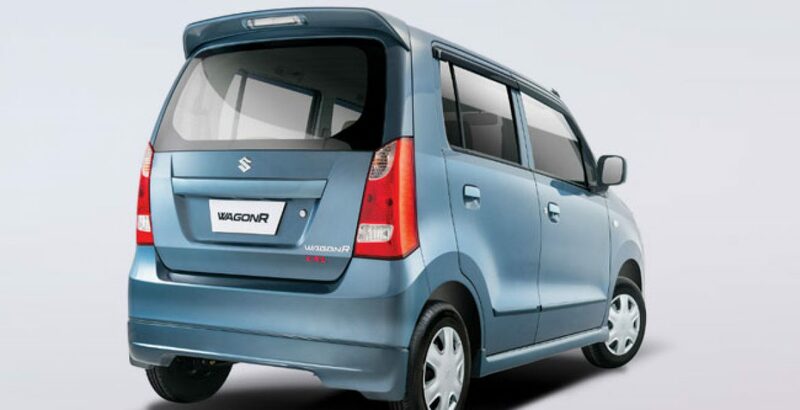 Here is what makes Wagon one of the best seller Suzuki cars in the country. Keyless Entry + Power Steering: The keyless entry system gives added safety and utility while the electronic power steering makes the handling, control and command so easy and fun-yielding. Infotainment: In exchange for economy, you are not asked to make any compromises even on the entertainment front. 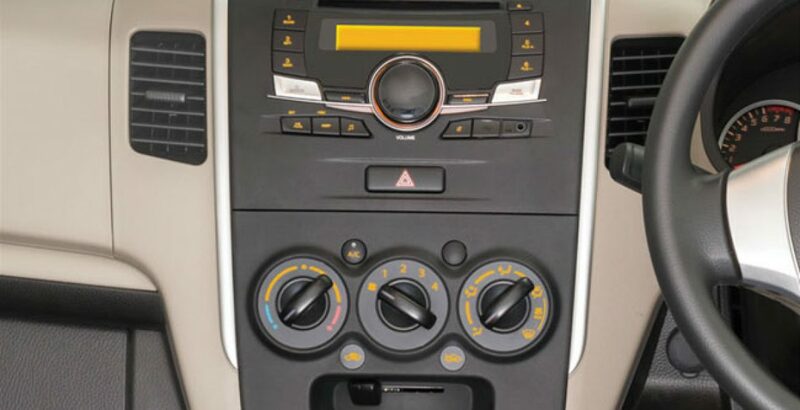 The infotainment system supports Radio, CD, Aux in and USB. Immobilizer + Security Alarm: The anti-theft device, immobilizer, is there to save your vehicle from the illegal hands.Providing an additional layer of safety, the security alarm supports the arm/unarm controls and the burglar alert. 6 Color Variants: To cater to the taste of the varied public, the Wagon R offers as many as 6 choices for its body shade. They include the pearl red, the graphite grey, solid white, silky silver, phoenix red and S. pearl black. As you compare Wagon R with its competitors, including its siblings, it enjoys the title of being the most affordable car. All its rivals, like Ciaz, Vitz, Passo, and Cultus are relatively expensive. The price tag reading around 11.5 lac rupees seems quite reasonable for the car of the Wagon R’s stature and standing.